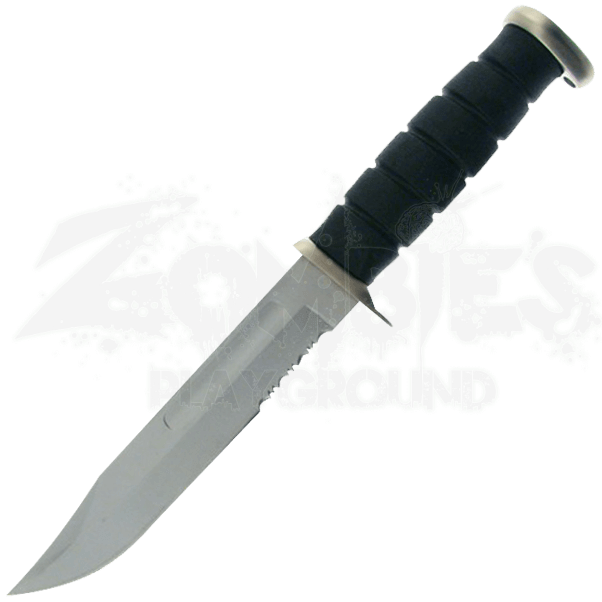 The Chrome USMC Fighting Knife comes in handy in multiple situations, ensuring the survivor is prepared to face both Mother Nature and man. 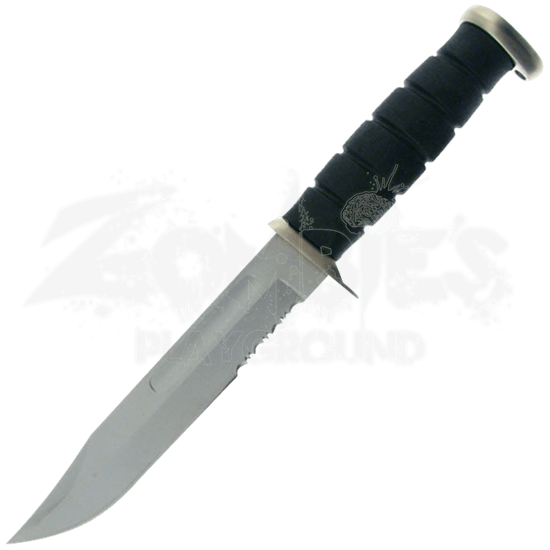 Whether for utility or combat, this military style blade is a great addition to your gear. Modeled after the weaponry of the United States Marines Corps, this utility fighting knife features a clip point blade made of durable stainless steel. A ribbed handle made of impact resistant ABS strengthens your grip. The fighting knife comes with a hard sheath for easy and convenient carry.